US broadcaster NBC has renewed gameshow Ellen’s Game of Games for a third season. The series returned to NBC this month and is based on segments from comedian and personality Ellen DeGeneres’ talkshow. Each episode is a self-contained mini-tournament with contestants selected to compete in one of four preliminary games. Winners of each progress to the semi-final before the last remaining contestant plays for the chance to win US$100,000. 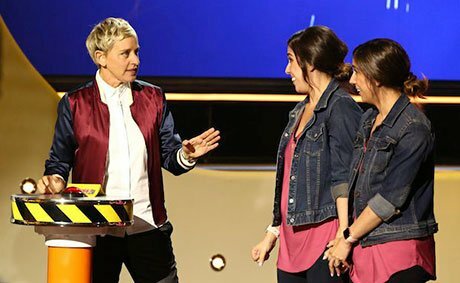 Ellen’s Game of Games is produced by Warner Horizon Unscripted and Alternative Television in association with Telepictures and A Very Good Production. An episode order for the third run will be revealed at a later date. DeGeneres hosts and exec produces the series alongside Kevin A Leman II, Mary Connelly, Ed Glavin, Andy Lassner, Jeff Kleeman and Derek Westervelt. David A Hurwitz also serves as executive producer. The renewal comes a few months after Ahr was promoted to her current role in which she has greater purview over the launch and ongoing strategy for the alternative studio’s projects for NBC in 2019.